One Side Laminating - System has a built-in decurler bar to produce flat sheets. Built-in perforator wheel weakens the edge of the lamination for easy hand sheet separation. Two Side Laminating - Film thicknesses from 1.2 mil through 5 mil. Mounting - Roller pressure gaps to allow insertion of foam boards for mounting as well as simultaneous mounting and laminating for signs, trade show displays, etc. 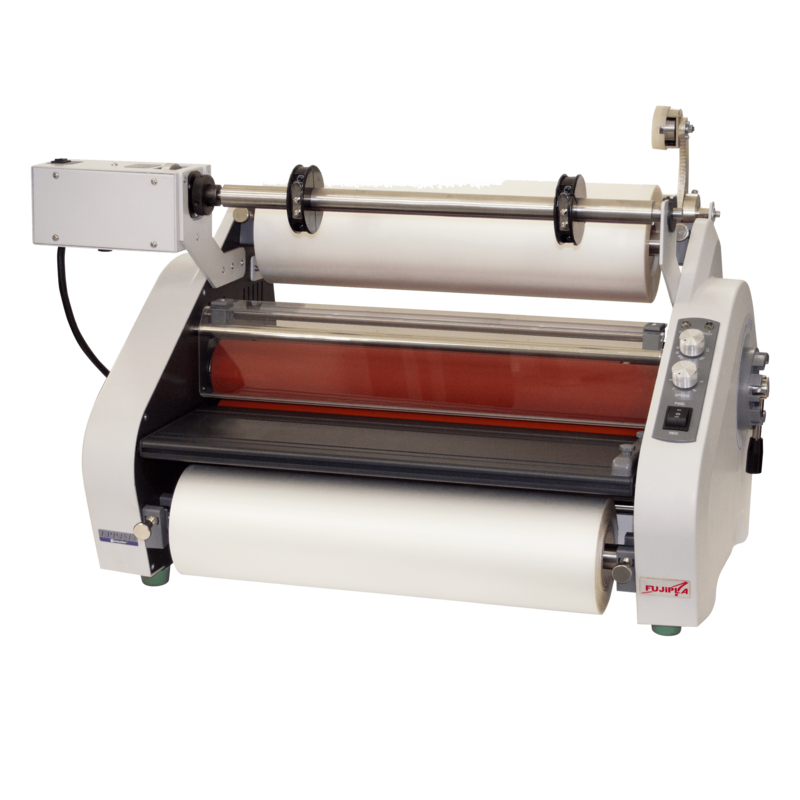 One Side Laminating – System has a built-in decurler bar to produce flat sheets. Built-in perforator wheel weakens the edge of the lamination for easy hand sheet separation. Two Side Laminating – Film thicknesses from 1.2 mil through 5 mil. Mounting – Roller pressure gaps to allow insertion of foam boards for mounting as well as simultaneous mounting and laminating for signs, trade show displays, etc.